Rumor has it that smaller vehicles are the best in class when it comes to gas mileage. 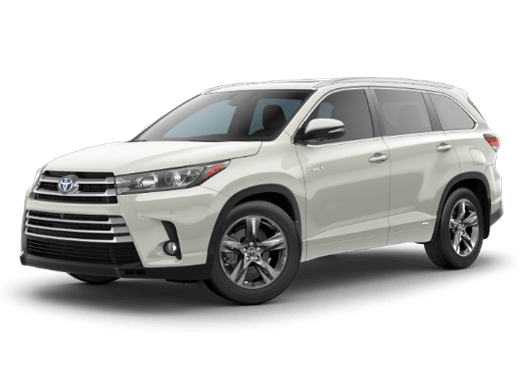 The 2018 Toyota Highlander Hybrid defies stereotypes. This vehicle is large, but don’t let it fool you. The Highlander Hybrid LE gets a whopping 30 miles-per-gallon in the city and 28 on the highway. The other two trims: the Highlander Hybrid XLE and the Hybrid Limited, both achieve 29 mpg city and 27 mpg highway. So, whatever the trim you choose, you’ll go further on less. Hybrids are efficient, and that’s good for the environment. 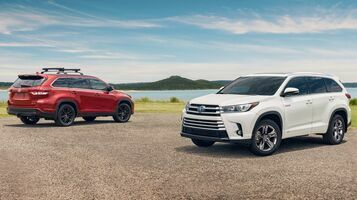 All three trims of the 2018 Toyota Highlander Hybrid were rated as a Super Ultra Low Emission Vehicle and got the status of Evaporative Emission Certification – Zero Evaporation. Get a 2018 Toyota Highlander Hybrid and give out less emissions, so you can feel good about your driving. Keep reading to find out about features of the Highlander Hybrid. 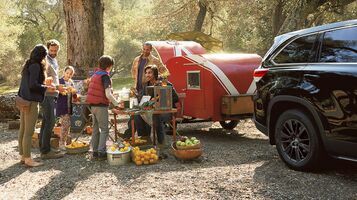 96 months/100,000 miles The Basic Warranty on the 2018 Toyota Highlander runs for 36 months or 36,000 miles, whichever comes first. That’s three years of assurance for your vehicle. Better yet, the Hybrid System warranty has you covered for 96 months or 100,000 miles. Eight entire years of coverage, which is more than the average length of vehicle ownership according to CNBC. The engine is the heart of the vehicle. It keeps the whole thing running, so of course you’re going to want the heart most efficient at pumping. As far as engines go, the 3.5-Liter V6 Engine is an efficient powerhouse. This hybrid will give you the best in efficiency, while still having the capacity to hold way more than a compact car or sedan. 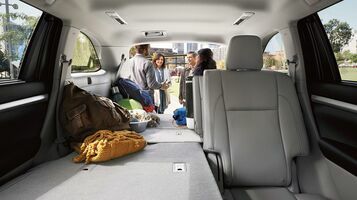 The Hybrid LE and Hybrid XLE will comfortably fit eight passengers and 83.7 cubic feet worth of goods. The Hybrid Limited comes close to this with seating for seven and 83.2 cubic feet of storage space.